Pet owners can spend a lot of time getting rid of fleas. Fleas are pests that every pet owner must deal with. If you don't deal with them, they will take over! First the scary part. 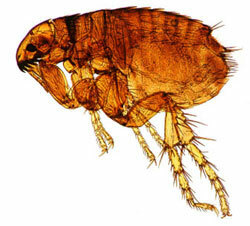 Fleas feed on the blood of mammals and their young feed on the dried blood that is eliminated by the adults. Yuk! Fleas live on the host animal and their eggs are left on the host and the hosts' bedding and can drop off anywhere the host animal has been. The eggs will hatch after 1-2 weeks, and emerge as larva. These larva can live in bedding, carpet, furniture, any place that the host has been. Get this, they live as larva for up to 200 days before they turn into pupae. Pupae can wait dormant for over a year if conditions aren't yet right to become adults. When conditions are right, many generations of fleas can transform into adults leading to a flea infestation. Fleas are bad news. Don't let them gain a foothold in your home. 2. Collect everything you can, rugs, bedding, etc and watch them in soapy water. Soapy water is the best way to kill fleas. It kills adults, pupae, larvae, and eggs. When getting rid of fleas, it is important not to spill the larvae and eggs when picking things up. 3. Vacuum everything. Everything. Couches chairs, bookshelves, anywhere dust can settle. Use the attachment to get into corners. Don't miss an inch. When finished, don't leave the bag in the vacuum for goodness sakes. Get rid of it. It is best to seal it in a plastic bag. You can even freeze the bag if you want to do a good job of killing fleas before you throw them away. 4. The larvae that are left can be dealt with by a professional carpet steam cleaner. The steam will kill every stage except for the eggs, but there is an infrared treatment that can be used that kills all stages of the dog fleas. Call around to get a good deal and make sure they are good at getting rid of fleas. 5. If your pet hangs out outside, wash their usual resting places with soapy water so the fleas can't hitch another ride. YES they can. What do you do if your pets' fleas get on you? 1. Bathe a couple of times a day with soap. Soap is the best way to kill fleas. 2. Comb your hair with a special flea and lice comb designed with fine teeth to drag dog fleas out of hair. Put the fleas in soapy water. Liquid soap is one of the best ways to kill fleas. Keep track of how many you find each day so you can track if the population increases. Humans can have allergic reactions to flea bites. Applying ice, camphor, menthol or calamine lotion should relieve symptoms. If you decide to apply bug repellant, apply it to clothes, not to the skin. 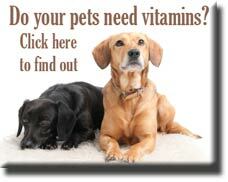 Vitamin B1 has also proven to repel fleas, so taking a B-complex multivitamin might help. Oh, one more thing. If you have fleas in your home, always wash your hands - especially children - prior to eating. Swallowing a flea infected with tapeworm can give you tapeworm and you have just multiplied your problems! Be careful when killing fleas on your pets. Only use treatments that are meant for your application. Treatment for Dog fleas can easily kill cats. Be careful. 1. Wash your pet with soapy water. You can get insecticidal shampoos, but they are unnecessary. Don't use treatment that contain DEET because it can have side effects. 2. Comb your pet daily with a special comb that drags the fleas out of the hair. When using this comb, start at the head, near the ears. Run the comb quickly through the hair. Before the fleas have a chance to get away, submerge the comb in a bowl of soapy water. Any cat or dog fleas that are trapped will die in the water. Repeat as long an your pet can stand it. Repeat again later. 1. Keep your pet in areas that are easily cleaned. 2. Vacuum daily and throw away bags as soon as you are done. 3. Have pet bedding that is easily removed and cleaned. Lay towels where your pet likes to rest and wash the towels weekly. Be careful picking them up so you don't spill the flea eggs and larvae/pupae. 4. Comb your pet daily with the special comb. Keep track of the flea population. Insect growth inhibitorsThis is applied to the environment and stops the various stages of fleas from developing into adults. Doesn't do the trick by itself, but can be part of an overall flea removal program. PyrethrinsThese are derived from the chrysanthemum cinerariaefolium flower and is one of the least toxic flea controllers. However, avoid those combined with piperonyl butoxide which can be toxic and cause health problems in humans. Citrus Peel ExtractsThese are among the safer treatments, but limonene and linalool are both necessary for killing all stages of fleas. Make sure the product you get contains both. Can be used for spot cleaning, not for whole rooms or outdoors. Use EPA registered products and always consult a veterinarian first. Sorptive dustsThese are important if getting rid of fleas naturally is important to you. Sorptive dusts kill fleas by dehydrating them. These are fine dusts and may cause respiratory irritation, so use a mask and keep it out of your pet's face while applying. Diatomaceous earth is an effective and popular variety for sorptive dust. You can sprinkle it in the carpet or apply it directly to your dog. Dobn't forget to get it in between their toes. Keep them still for a couple of hours so the fleas have a chance to be exposed to the dust. Wait at least a week before washing your pet. Always check with a vet first. Take a pie tin. Fill it half full of water and put a teaspoon of vegetable oil in it. Place a light over the pan and darken the room. (Do this at night?) The fleas will come to the light and jump in the pan of oil and water and drown. Works great in a dark room. Click to return Home from "Getting Rid of Fleas"